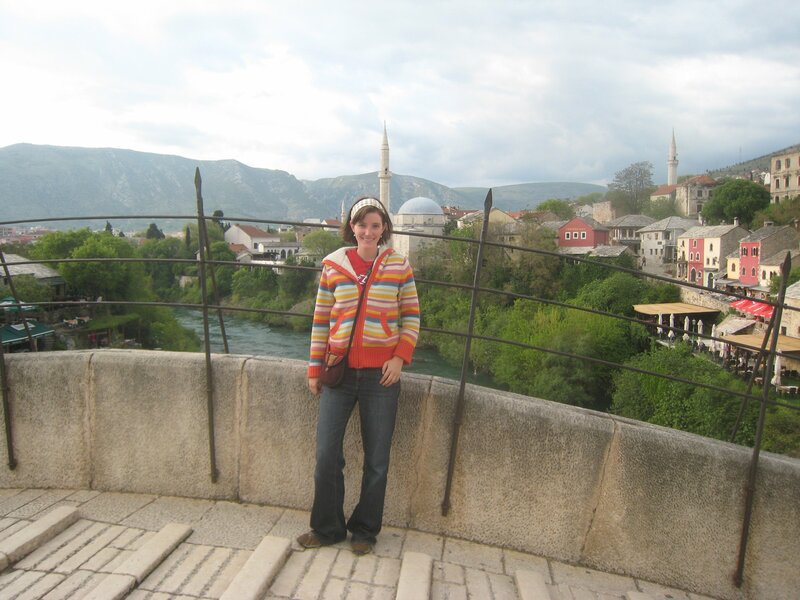 Bosnia and Herzegovina | Where is Yvette? 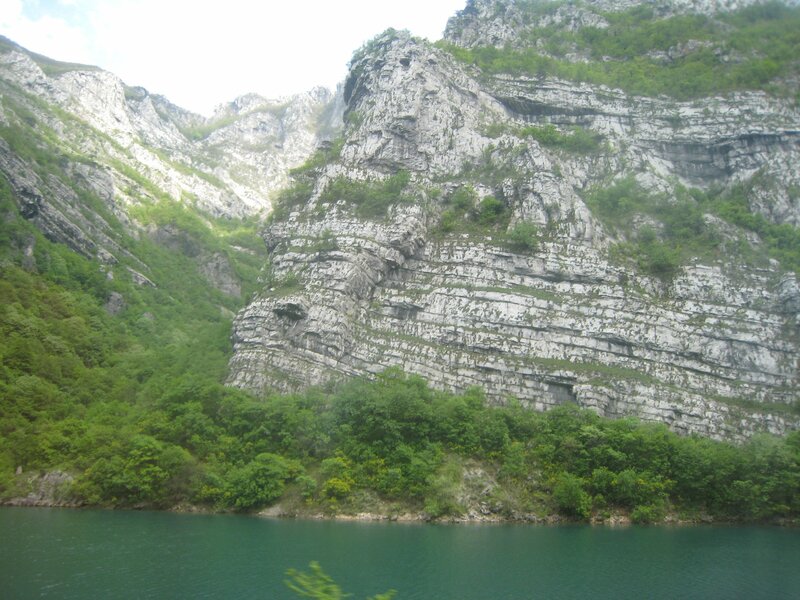 Listen backpackers- forget Western Europe, Bosnia is where it’s at. Where else do you get this culture, this scenery, these prices anywhere else? Trust me, you will thank me for adding it to your itinerary. 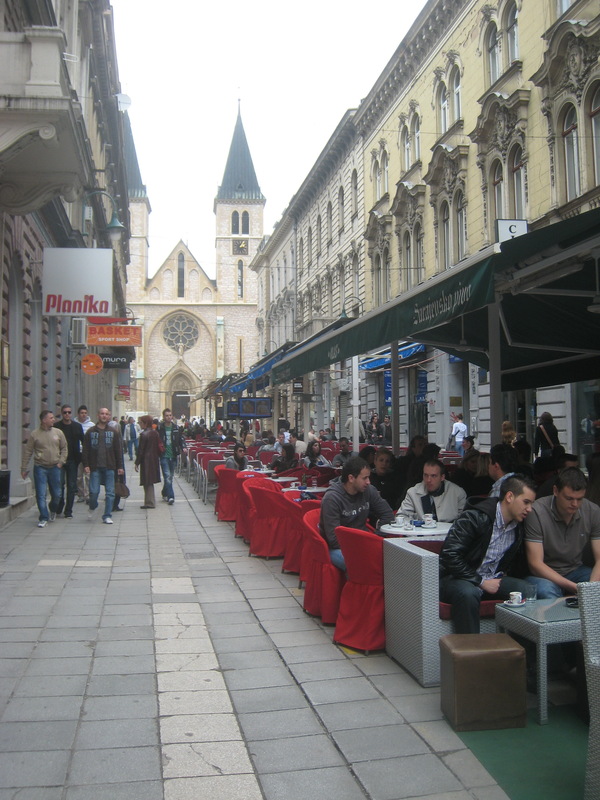 – Sarajevo is definitely one of the loveliest cities in Europe. 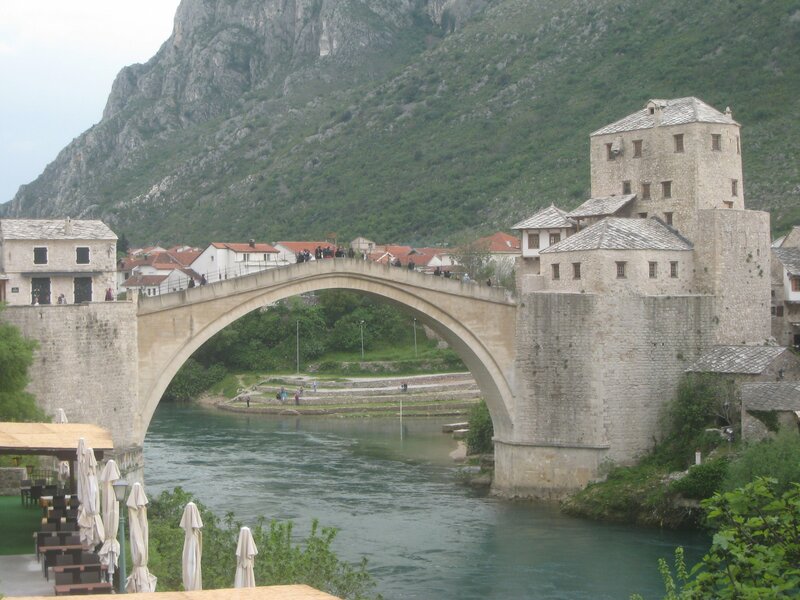 To top it off there is more history and culture in it than you find on some continents, and everyone sits around all day drinking Bosnian coffee. What’s not to like? – The prices, my goodness, the prices! It’s not quite the land of dollar beers that I found in Asia, but it is the land of $2 beers so I am totally ok with this. I got a room to myself in Sarajevo for under $20, for example, and a bunk in Mostar for $13. After Western Europe, my wallet is happy I came here! – Bosnian food is surprisingly good and tasty. If someone wants to open a Bosnian restaurant back home I will help in putting up capital because I know you will get it back a few times over! Provided I get food for free, of course. 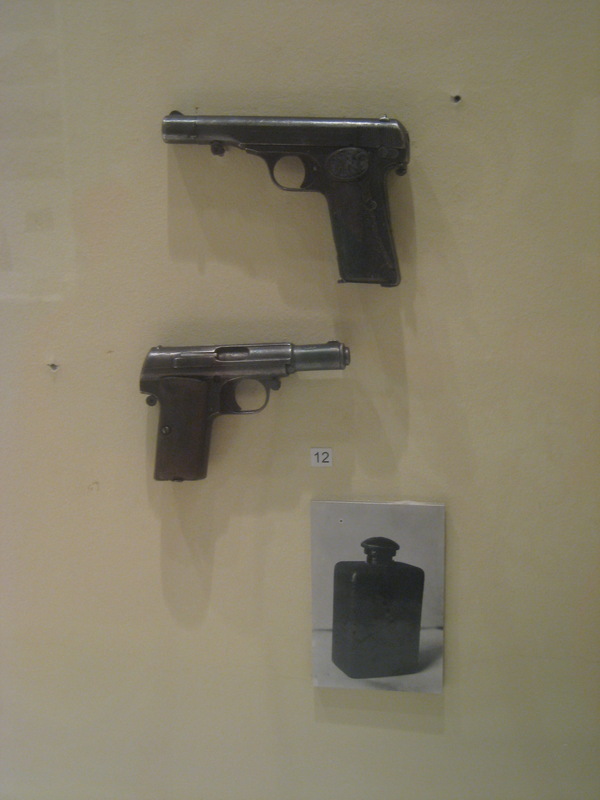 – The museum in Sarajevo devoted to the assassination of Archduke Ferdinand leaves a little to be desired so far as content goes- this picture of the weapons used to kill the Archduke are by far the most interesting thing as the rest is devoted to random paraphernalia it seems someone found in an old attic. But they charge you next to nothing to see it on the bright side. As long as I’m confessing random things about my personality I’ve learned while traveling, it turns out one of my favorite things is simply the act of travel itself. I sit on trains and buses and who knows what else an awful lot, but stick me on one of these and I will spend several hours in happy reverie doing nothing but watching passing scenery and thinking about something or another. It has gotten to the point where I am always a little sad when I reach my final stop, wishing instead that I could stay in transit forever, which I realize is an odd thing but anyone who hates the travel part of travel probably wouldn’t last six months in this business. Wow! These mountains are spectacular. Very New Zealand actually, which is the highest compliment I am capable of giving any range of mountains. 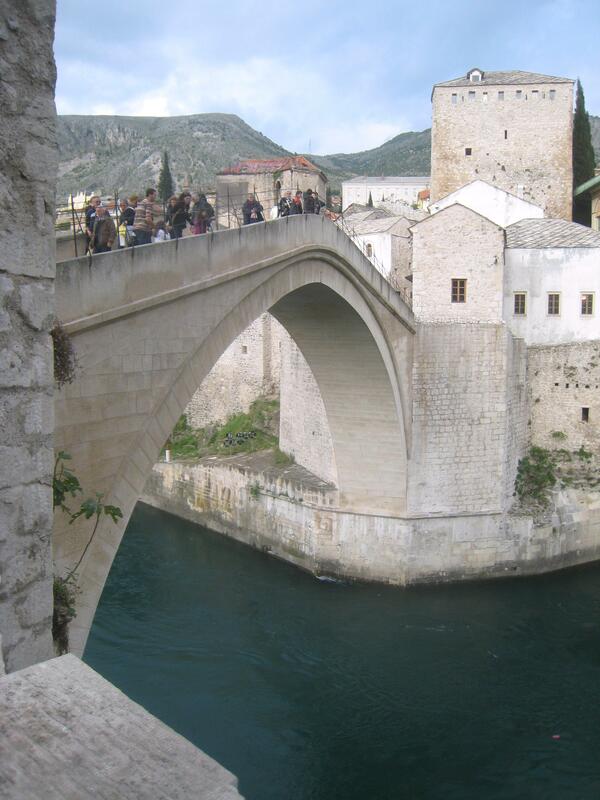 Stari Most, which translates into “Old Bridge,” was built in the sixteenth century on the route to Constantinople. At the time it was the biggest arch in the world, and it was such an architectural feat that people still aren’t quite certain how it was constructed. A side view of the bridge. The top of the arch is about 20 meters from the cold, fast-moving water but that doesn’t stop some knuckle-headed divers from jumping off the bridge every summer. Obviously it’s not recommended without a bit of training first with such a height, but it’s sort of a macho thing for the local guys to do I suppose. I realize this picture isn’t the best of destruction but frankly I didn’t have the heart to take more pictures of people’s destroyed lives. 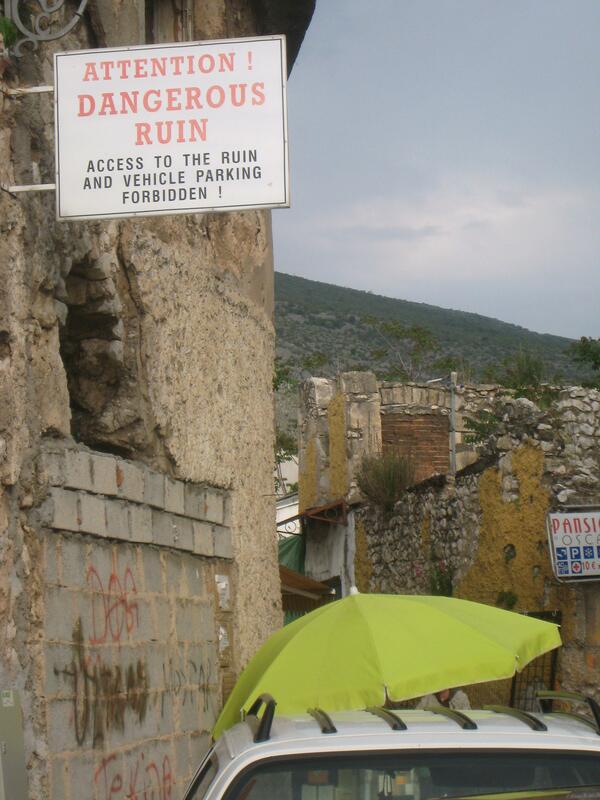 However, I find a sign telling drivers not to park next to ruins with a car underneath quite entertaining- though most people in this part of the world don’t speak English at all (if over 30 they’ll try German on you if you don’t speak Serbo-Croatian), implying the sign is really there for tourists rather than locals. 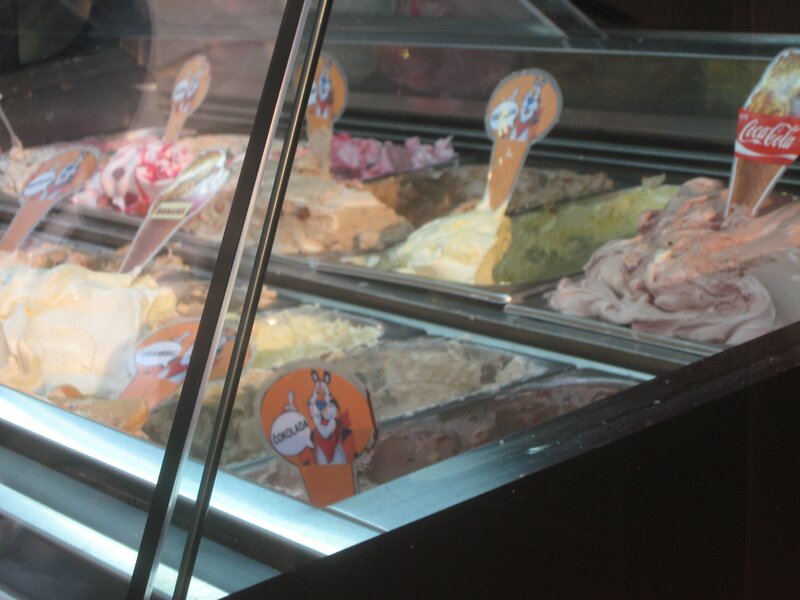 Speaking of random signs, why is Tony the Tiger telling us what the ice cream flavors are in Mostar? Did he decide he needed to branch out from cereal promotion? 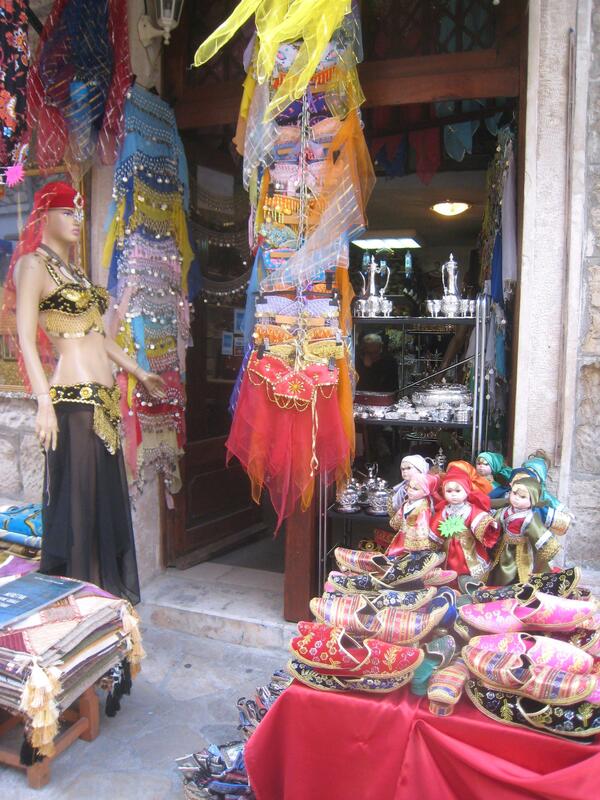 Another interesting thing about Mostar is how being just a few hours south of Sarajevo definitely gives it a lot more Middle Eastern feel, as shown by the belly dancer costumes and Turkish slippers for sale. There are a surprising number of Middle Eastern in general and Turkish in particular tourists around here, actually, which is odd because I didn’t notice them in Sarajevo. 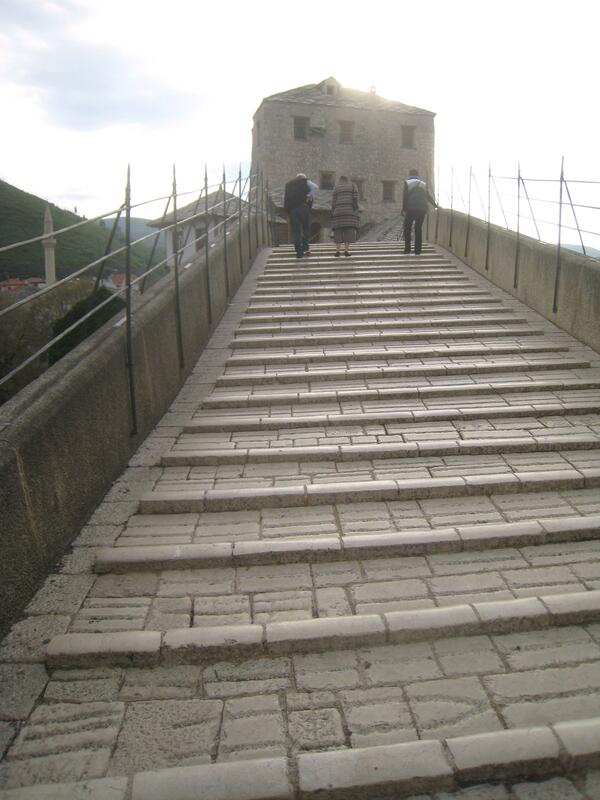 After a few hours of wandering, however, I was done with Mostar. 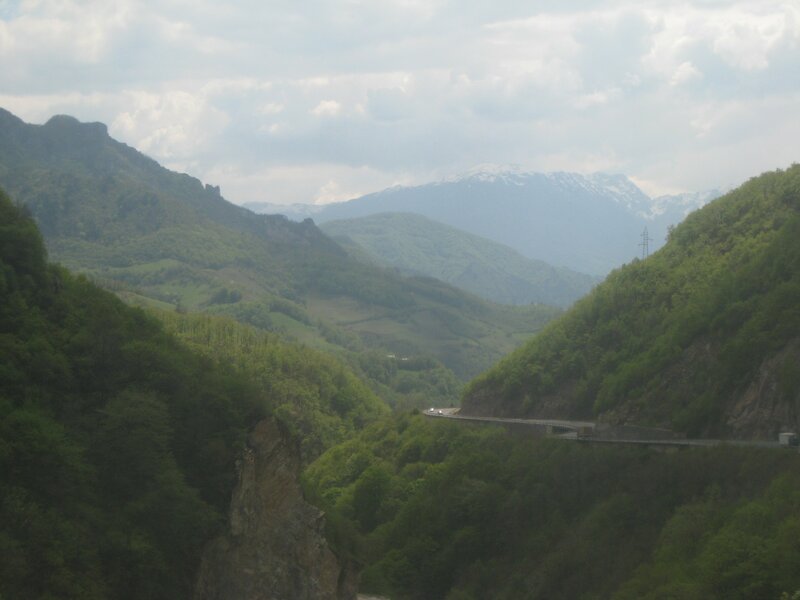 It’s pretty and worth a stop but frankly not that big- I suspect things are different in the summer when you can go out and explore the countryside and go swimming and such, but in this season not much is going on to keep a traveler’s attention. I figured the season was just starting to pick up further south though, and left early the next morning for Split, Croatia. I haven’t been to the beach in awhile anyway. I can barely remember the siege Sarajevo. I mean yes, I remember hearing about something going on in Bosnia in the 1992-1995 timeframe, but there’s only so much you hear and care about when you’re starting elementary school so my knowledge extended about as far as reading Zlata’s Diary. So if you’re reading this and fall into that category, here is a brief summary of the Yugoslav War (keep in mind I pieced this together through talking to Bosniaks, Croats, and Serbians)- following the death of the dictator Tito in the 1980s the country of Yugoslavia he held together began to fall apart. Slovenians decided they wanted to live in Slovenia, Croats wanted to live in Croatia, Bosniaks wanted to live in Bosnia… you get the idea. What was the former Yugoslavia is actually seven countries now- Slovenia, Macedonia, Croatia, Bosnia and Herzegovinia, Kosovo, Montenegro, and Serbia, listed here should you ever come across that card in Trivial Persuit. The problem with this (and this is the part where I wish I’d meet a Serbian whose opinion I could ask) were the largest ethnic group in Yugoslavia, the Serbs. They’re a bit famous for being nationalistic, and while there’s nothing wrong with that they insisted that every Serbian had a right to live in “greater Serbia” and they were outraged by a recent (Serbian) report saying that the minority ethnicities in the country were getting a better slice of the pie than Serbians (pop quiz- when did you hear rhetoric like that in Europe before? ), so they went to war in all these new countries on behalf of the minority Serbs living in each country. In Slovenia it didn’t last long, and I’ll be covering Croatia later, and Kosovo I figure everyone remembers better. But none of them really compare to the war in Bosnia, where the Serbian forces committed war crimes against Bosniaks in an effort to make the Serbian areas of the country exclusively Serbian (pop quiz answer- yep, last time there was a genocide). The U.S. brokered peace in Bosnia in 1995 with the Dayton Accords, meaning Bill Clinton is extremely popular around here. Look up onto the hills in Sarajevo and you soon come across graveyards like the one pictured above, most belonging to twentysomething soldiers but hundreds of civilians were killed too. Walk through the streets today and it’s hard to believe such a bright, new, youthful city could have such a recent past until you remember the reason things look new is because so much was completely destroyed and there are so many young people because so many older ones left or were killed. 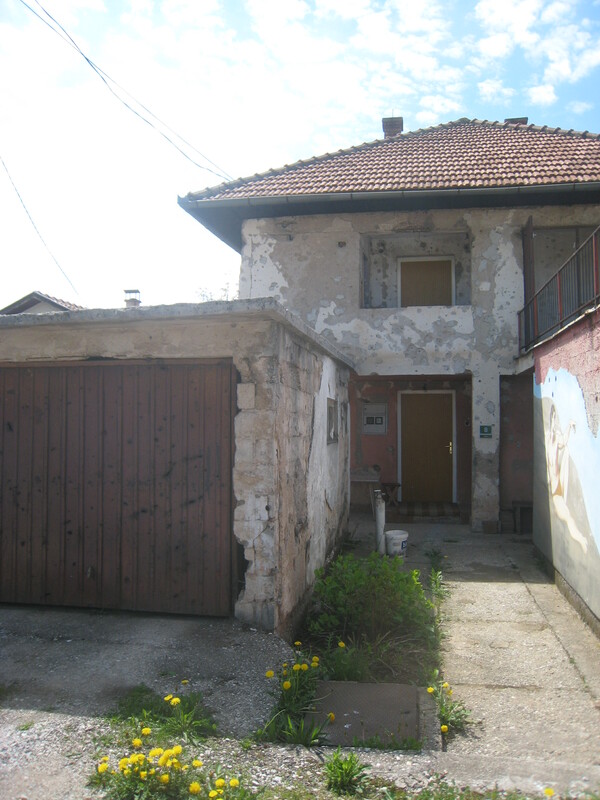 If you look around Sarajevo today, though, you begin to notice things- how the walls of apartment buildings often have bullet holes in the walls, and while streetfronts are built up the backs are often still destroyed. Take this house, which was right next to the hostel I was staying at. I’m told it was hit by several grenades during the war and no one is quite sure who owns the house as the former owner fled, so there it sits. This is me in the famous Sarajevo Tunnel, completed in 1993 and considered by many to be what saved the city as it allowed supplies to come in and people to go out. The tunnel runs 800 meters under the then-UN controlled airport that stood between Sarajevo and the Bosniak-controlled territory- before it was completed you needed to run across the airport for supplies, exposed to fire from Serbian forces and being pursued by UN soldiers who would send you back if caught. (The UN also enforced a weapons embargo that every defender hates with venom, as attacking armies tend to have lots more weaponry than defending civilian populations.) Most of the tunnel has since collapsed, but the house where it started is now a museum. And that was the point when I decided that I am never complaining about my life again, ever. After the Tunnel Museum we went up the hill to the old Jewish cemetary- before World War II Sarajevo was over 10% Jewish, though only a small handful live there now. The cemetary is important because this was the closest the Serbs got to the city and it shows on the gravestones- the above is the remains of the pummeled Holocaust memorial- with only a street marking the distance between Serb and Bosnian forces. The other interesting thing is there is a small stadium at the bottom of the road leading to the Jewish cemetery owned by one of the Bosnian football clubs. Obviously the thing was wrecked and covered in minefields during the war, but cleaning things up came out of the scant money of the football club. As a result, the night before I went on this tour marked the first night they had stadium lighting for a game there since 1992. Back to the Jewish cemetery, here is the view the Serbian troops had down to Sarajevo (the city is nestled in a ring of hills, thus making it perfect for siege). The yellow building on the left is the famous Holiday Inn where all the Western journalists stayed while covering the war, the white skyscraper to its right is the parliament building that burned in an iconic photo of the war, and on the far right is Sniper Alley. Obviously it’s a pretty clear view that way, so civilians who needed to get supplies would either run like hell and pray for the best or wait for an armored UN truck to come by that they could walk behind. Needless to say, it’s difficult to come to Sarajevo and not be moved by the tragedies that happened here. As humans it’s within our nature to assume bad things like war happen in this mythical “somewhere else” that doesn’t reach us, that maybe other people don’t suffer as badly in conditions we would consider intolerable. But if I were in charge of things, I think I would round up all the young people who are planning to go into politics and send them to Sarajevo. I would have them walk the streets where people died in a conflict that they can actually remember, make friends with people their age who speak matter-of-factly about things you never wish upon a living soul, and see a mother crying as she lays flowers on her child’s grave. I don’t pretend that this would solve our problems, but it would make suffering a little bit less and lives a little bit better.